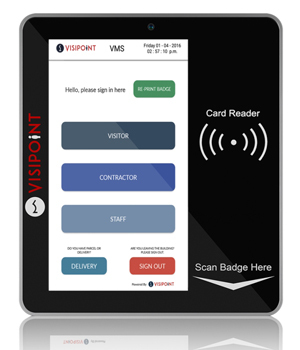 Build your perfect visitor management system below to receive a quotation. VisiPoint provides a fantastic visitor experience, whilst providing you with real-time insight into who's visiting your premises, who's expected and who has left. 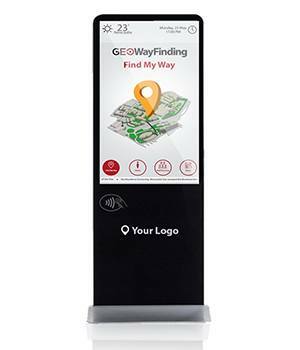 It is a cost-effective visitor and reception management system designed to streamline your processes and improve security, while providing a keen return on investment. I would like to order 1 VisiPoint tablet(s). I would like to order 1 VisiPoint kiosk(s). 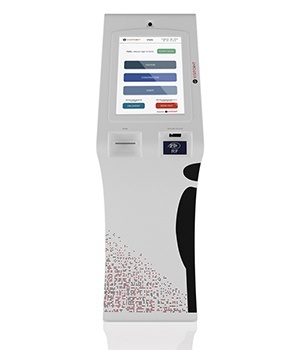 I would like1 customised kiosk(s). Indoor Kiosk with screen(s) size between 32"-103"
Outdoor Kiosk with screen(s) size between 32"-103"
Indoor Kiosk with screen(s) size between 19"-22"
Outdoor Kiosk with screen(s) size between 19"-22"
If Yes, how many meeting rooms do you have? How many businesses would you want to list? If yes, how many staff do you have? If yes, how many inductions per week? Contractors can watch health and safety videos / documents, and conduct an exam(optional) prior to signing in.